I guess this photo is an odd choice this week. The Photo Challenge assignment was “celebration,” but I didn’t get it done. I was too busy celebrating being home from England and making a red, white and blue cake for the July 4th picnic. (You know that saying about if you’re a hammer, everything looks like a nail? Well, the same is true if you have a 12 pack of gel color. Every cake needs stripes.) Anyway, this photo is not meant to demonstrate celebration in any way. In fact, it is probably the opposite. 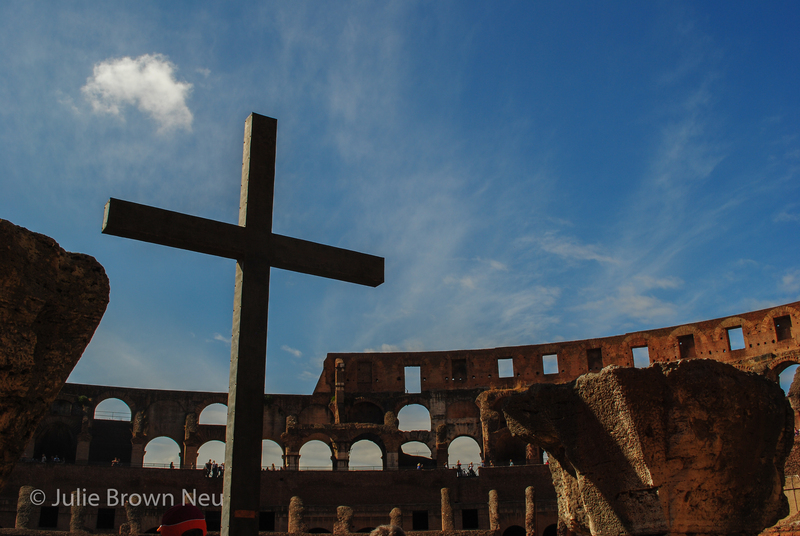 But, I took this photo several years ago in Rome and it’s always been one of my favorites.